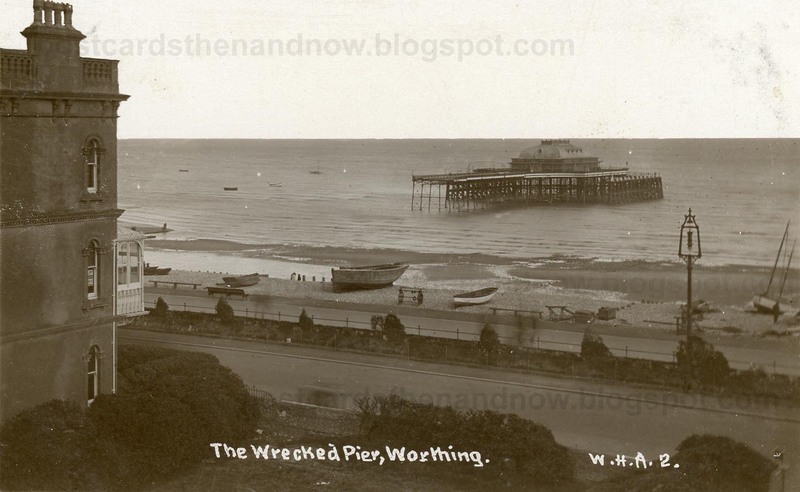 Worthing, Sussex, The Wrecked Pier 1913. 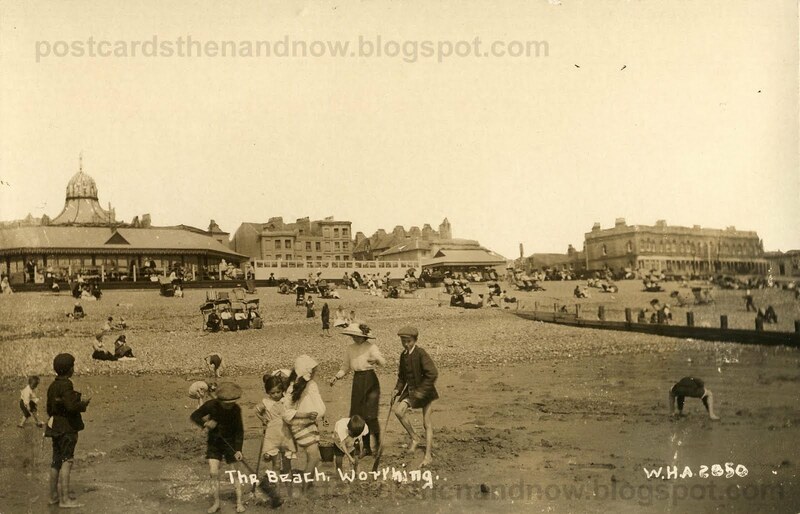 In March 1913 Worthing Pier was damaged in a storm, with only the southern end remaining, completely cut off from land. A rebuilt pier was opened in May 1914. That one was destroyed by fire in 1933. The modern pier we can see in the Google Street View below was built in 1935. 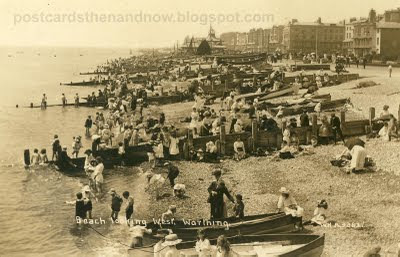 Below you can also see two postcards of Worthing beach. It is interesting to see how people used to dress up for the beach. Suits, ties, waistcoats and hats for the men. Everyone wore a hat. I doubt if there many cases of skin cancer back then. Of course, without sunglasses, hats and umbrellas were necessary to protect one's eyes from the sun too. These postcards were published by W. H. Applebee in 1913. For more old photographs please visit Sepia Saturday. As always, click the pictures to enlarge! These are great postcards and a real sign of the times. Are there really two people with no clothes on in the sea next to the breakwater on the last picture? The last postcard is so full of interesting subjects. I can't make out whether those two have clothes on or not, but my inkling is that they are at least partly clothed. Funnily enough, I can't see anyone in the water beyond their knees. Great deatil - thanks for sharing them. I'm guessing the kids in the third shot are clamming. They've got their buckets and pail. I went clamming once. It was pretty much a Three Stoogesmovie. My friends and I kept digging and digging and never found anything. Then some other people came along to tell us they were following us down the beach picking up all the clams we'd tossed aside. We thought they somehow traveled quickly so once we'd see the air bubble we'd dig frantically hoping to catch them. We were dumb kids. Wonderful pictures, the last picture really is a hive of activity. Some people now could stand to wear more clothes on the beach as opposed to fewer! Obviously, that beach and pier were popular subjects for postcards, and all of the cards show something different. I really enjoyed scrutinising these scenes and came to the same conclusion about the near-nakedness of some of the bathers, even before I read the other comments. Perhaps people weren’t as prudish as we like to think. 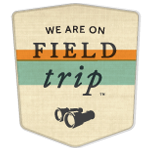 I agree with Lakota - if you saw of the sights I do here in Lanzarote! The last postcard is so interesting, I could probably spend an hour looking at it and still find something more to see. I think the "fences" that go from shore to the water are interesting, and especially that people are sitting in front leaning against them. And then to see what look like city buildings just across the street from the beach is unusual. Thanks for sharing. I love these outfits, although they are probably far less practical for swimming. As with many of your cards, the difference between yesteryear and today is often not so great. Occasionally makes me want to pick up and move. they didn't know much about sunscreen either, but i wonder what was the state of the ozone layer back then and if sunrays were as damaging as now. i love the original pier and it is a pity its character was not preserved. in some cases, modernism is just not that appealing. the last pic really thrilled me!! Wonderful theme selection, Howard. Britain's shingled seaside developed different recreations than the warmer American sand beaches. I always return from a British holiday with pockets filled with wonderful smooth stones. Only a week ago, I met an artist who did balancing stone sculptures, so I gave him one from Alderburgh that had a hole bored through by a smaller pebble. A marvel of nature.